It seems like it was just yesterday that the 2012-2013 NFL season was set to kick off. Now, we are only one week away from the playoffs starting, and that means that we have some big time match-ups to talk about. One of the match-up’s comes between a team fighting for a playoff spot, and another who has already been eliminated, but is coming off of a nice win. The Chicago Bears looked like they were a lock to take down a playoff spot, and probably the NFC North. All of the sudden though, the Packers took over the North with a 10-4 record, and the Bears find themselves in a tie for second place in the North with the Minnesota Vikings. The Bears are now in situations where they need to win these games, especially against teams who have struggled offensively like the Arizona Cardinals this week. Kickoff is set for 4:25pm EST, and the game will be in Arizona. Ready to place your bet? Bet now at this top sportsbook. The Bears have fans scratching their heads as they have lost three in a row and are 1-4 in their last five games. The offense just hasn’t been able to put it together, but most importantly some key defensive injuries are leaving them vulnerable on that side of the ball. Unfortunately the Bears’ defense is simply going to need to step up, and Jay Cutler is going to need to continue to connect with Brandon Marshall to get them out of this hole. Chicago fans are hoping they can save the season and get into the postseason still, but losing this game would essentially leave them in a brutal spot. The Cardinals have some serious quarterback issues right now, and it’s almost expected that next year they’ll have a new quarterback leading the way. They have relied on some strong defense to keep them in games, but after getting dominated by the Seattle Seahawks 58-0, they came back with a nice game overall against the Lions. The Cards are going to have to play with that same style if they want to beat the Bears, whose defense is better than the Lions’ defense right now. Expect a heavy dose of Beanie Wells on Sunday against the Bears, as they’ll likely look to ride him to the win. 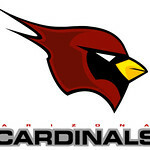 Do you like the Bears or Cardinals? Bet at this top sportsbook. The Bears are -5.5 favorites in this game. I know that the Bears have struggled as of recent, but the thing is the Bears are simply a better team than the Cardinals are. Jay Cutler hasn’t been at the top of his game, and I don’t think he’ll go crazy on the Cardinals defense this weekend either. 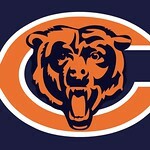 I do think that the Bears defense is going to get all over the Cardinals and step up this weekend with a big game. It’s going to be badly needed though, and I could see the Cardinals not scoring many points here. I see the Bears starting off slowly, but the offense getting going late in the first half to get them going in the right direction. I’m taking the Bears to win it by a touchdown in this game by the score of 21-14.